I’ve tried many word games on my iPad. Mostly what happens with me is they’re okay at first, but I quickly lose interest. Or (shudder) there are game design elements that don’t suit me - like aggressive ads, or a cynical and grasping business model. My personal preference is to try a game for free, then pay for more puzzles or a better version. My preferred opponent is a benevolent AI. I love word games, so I’ve continued searching for enjoyable ones. 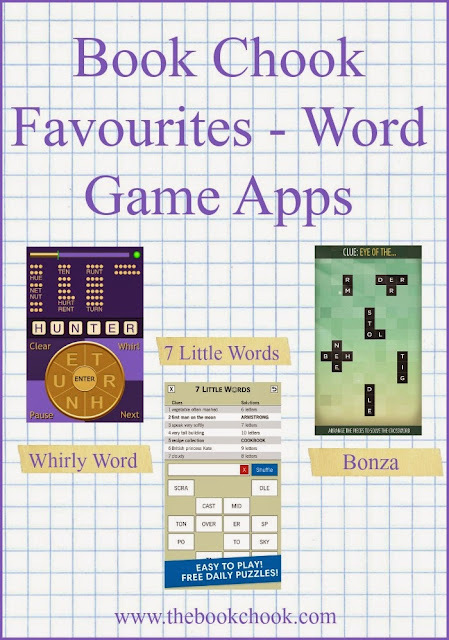 Here are my favourite word game apps that I play over and over on iPad. I’m recommending these for adults and perhaps teens to play alone, but younger kids might enjoy playing with parental help. There are also Android versions of three of these great apps. Bonza has lots of in-app purchases available. This usually puts me off as it’s often accompanied by ruthless advertising and clues designed to be impossible so you need to buy hints via an in-app purchase. But Bonza is a pleasant surprise. You can get one free hint by watching a short video ad, or use game coins you’ve acquired in earlier games to get a hint. You can acquire more game coins by watching an ad, and use them to buy some new puzzle packs. Other puzzle packs cost a couple of (real) dollars each. Playing Bonza is a little like doing a snippet of a crossword puzzle. The puzzles themselves can be challenging, easy or in-between. The variety is good for your self-esteem! You usually get some kind of clue, then you try to arrange letters and groups of letters to form words suggested by the clue. You also get one free puzzle per day. I really appreciate that the Bonza developers seem to be trying to be fair - yes, developers are business people who need to make money, but I hope this generosity to customers pays off by making the Bonza app even more popular. Bonza is f _ n and _ _ _ictive. Whirly Word is a really simple anagram word game. You get six letters from which you need to make as many words as possible. That’s it. You can see how many three, four, five and six letter swords can be made, and that list is alphabetical in order so those are helpful clues. The game is not timed, so you can start it, pause and come back. It’s great to fill in a couple moments when you’re waiting for someone. I think it would be a good app for parents to play with their kids. The game is free for a certain number of games, then if you want more games, you can get the full version. In 7 Little Words, you get some word chunks like “eriz” and “ing” and “pulv”. You also get 7 clues and next to each how many letters the answer will be. You must tap the chunks in the correct order to make a word that matches the clue. So with the chunks I mentioned above, you would match them to the 11 letter word, pulverizing. It’s free for 50 puzzles, then you pay. Again, I appreciate that it’s not timed, so it’s more relaxing and versatile. There’s also a 7 Little Words for Kids and they offer great free resources for schools. By the same developer as 7 Little Words, Red Herring is a category game. The aim is to group words into categories. On the easier level, you get the category labels, but as difficulty increases, you don’t. Some of the category words are also given in the easy level, making it clearer for youngsters to understand. To make it trickier, there are red herring words included - words that look like they might be right, but may not be. So, for an easy example, you might see that the label is colours, and you see red, blue, yellow and dog as your given words. You take dog out and swap it for green. It’s free for 50 puzzles and one free daily puzzle, but then you need to pay. I really like that you can switch from Hard to Easy during a puzzle if it stumps you, allowing you to get a hint or two. This also makes is accessible to primary aged kids, while parents can use a more difficult level. Great idea! Get more of an idea of the app via Youtube. I wrote about Alphabear in August. It remains one of my favourite word game apps. If you have suggestions of word game apps for iPad you think I and other word play loving adults might like, please mention in comments or contact me. I don't publish comments I believe to be spam.